Trent Nelson | The Salt Lake Tribune Real Salt Lake's Nick Rimando (18), in between shots during the shootout as Real Salt Lake faces Sporting KC in the MLS Cup Final at Sporting Park in Kansas City, Saturday December 7, 2013. Houston • The news hit the soccer world like a ton of bricks. Rimando, who enters his 20th season in the league — 13th with RSL — thanked his family, children, RSL, D.C. United and others in his message. He also mentioned being focused on his final season now the announcement was made. 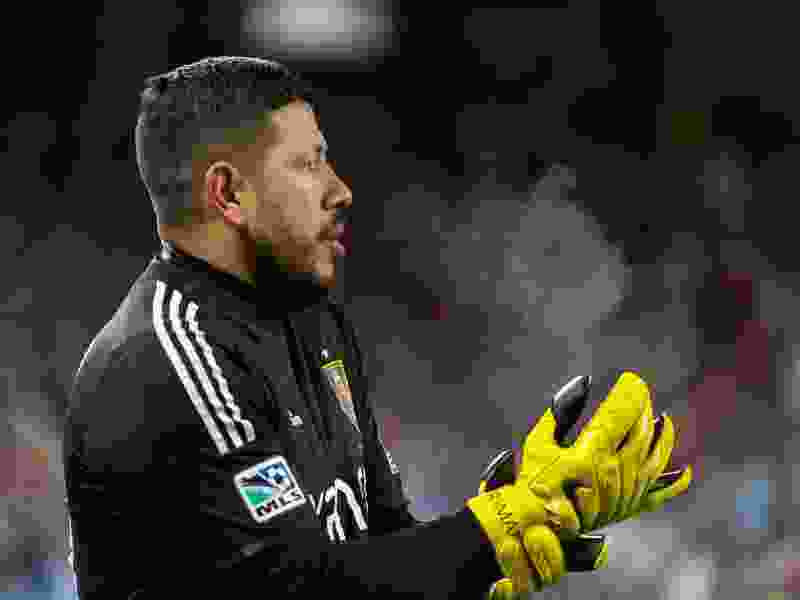 Rimando, who will turn 40 in June, is the second-oldest player in the MLS behind only Tim Howard of the Colorado Rapids. The MLS veteran in 2018 became the first keeper in league history to reach 200 wins. He holds the MLS record in games played (485), shutouts (144), wins (209) and saves (1,630). Rimando is such a soccer icon that RSL coach Mike Petke suggested, partly in jest, that the MLS Most Valuable Player Award, which is named after Landon Donovan, should be named after his keeper instead. “He’s somebody that is gonna go down, to me, as the best goalkeeper ever to play in this league, for sure,” Petke told The Salt Lake Tribune. Tony Beltran, who has played with Rimando for 12 years, reacted with just as much surprise, as he learned of Rimando’s retirement via his post on social media. “I honestly thought he could keep doing it for another five, 10 years — really, as long as he wanted,” Beltran said. Petke spoke with Rimando last week in Arizona, where the keeper informed the coach about his decision to retire. Petke said that most of all, he just wants Rimando to enjoy his last season as a pro soccer player. Now that the news is out there, it stands to reason that the entire league will attempt to give Rimando an extravagant send-off. But will it add to the RSL’s already heightened motivations and expectations for this season? Beckerman thinks it can. Rimando was drafted in 35th overall in the 2000 MLS SuperDraft by Miami. He was acquired by RSL twice via trade — first in 2006 from United, then again in 2007 from the New York Red Bulls. He has appeared in 22 games for the U.S. Men’s National Soccer Team. Beltran said there will probably be moments this season — whether it’s when Rimando makes a big save or during a quiet moment during a training session — when he reflects on his longtime teammate’s storied career. But it’s clear that as a whole, every RSL player will savor every second before Rimando hangs up his boots. “I feel honored that I’m able to share the field with him in his last year,” Beltran said.